Well maintained apartment on the second floor (there is a lift) of a beautiful neighbourhood with a sea view and looking out onto a large swimming pool with a separate children's pool, jacuzzi, playground and lawn. The apartment has AC, Dutch TV and WiFi. 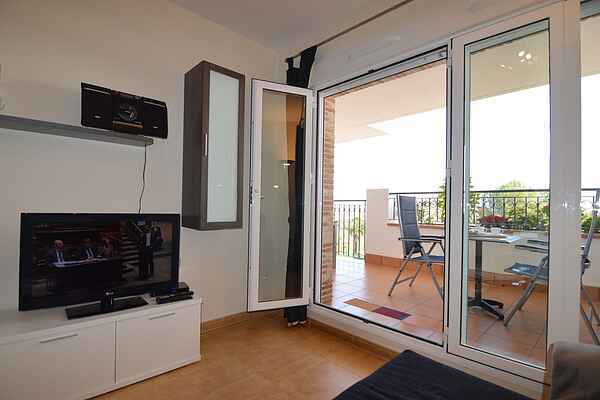 The popular shopping centre Zenia Boulevard and the beach are 5 minutes away (by car). Orihuela Costa is located at the edge of Torrevieja. A lively town with an 8km long boulevard with lots of restaurants and nightlife. Around Orihuela Costa there are various beaches and golf courses; it's a beautiful starting point to visit other cities from such as Cartagena, Elche, Murcia and Alicante.